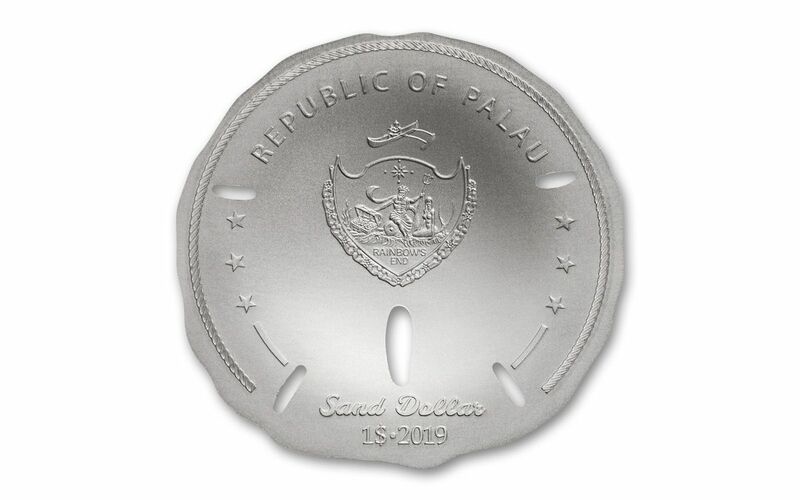 Your 2019 Palau $1 Sand Dollar Shaped One-Ounce Silver Coin will come in beautiful Gem Brilliant Uncirculated (BU) condition, meaning that it is the product of a superb strike that places it firmly among the elite of the run. 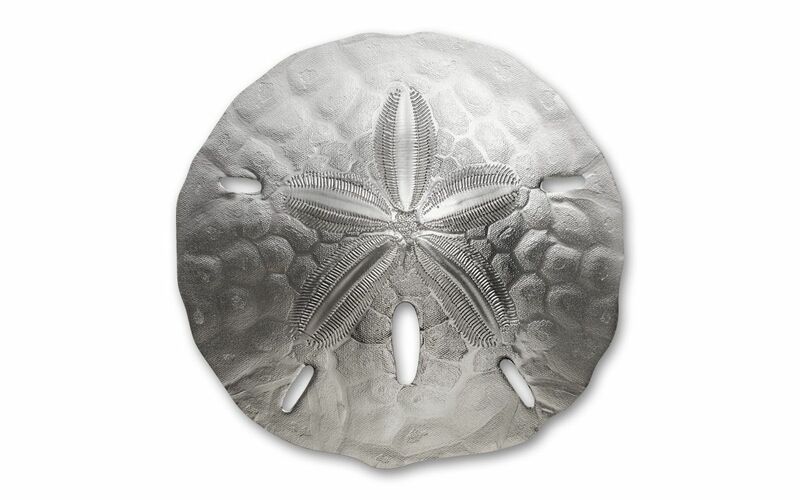 In addition, each Sand Dollar coin also features a special satin, antique finish to enhance the detailed design. It will also come shipped with its original government packaging. BEAUTIFUL GEM BRILLIANT UNCIRCULATED CONDITION – Your 2019 Palau $5 Sand Dollar Shaped One-Ounce Silver Coin comes in beautiful Gem Brilliant Uncirculated (BU) condition, meaning that your coin is the product of a superb strike that places it firmly among the elite of the run.